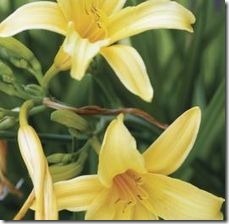 Can Daylilies Be Planted in Containers? Daylilies are a hardy perennial loved for their abundance of blooms. With cultivars that number in the tens of thousands, it’s easy to find a plant that matches your color, size or growing needs, including container gardening. Visit your local garden center to discover the best selection of daylilies for your growing zone in spring. Ask questions or research plant tags for the choices that fit your needs. Daylilies spread rapidly, so either choose a plant suggested for containers or choose a large container. Be prepared to dig and separate daylilies in containers more than every three to four years to help avoid overcrowding. Perennials such as daylily that are grown in milder climates — zones 4 through 1 — grow well in containers that are watered and fed with nutrients on a schedule right for those particular plants. Perennials like daylily that grow in zones 5 and up need special care to survive the colder winters. Either transplant to the ground in later summer and mulch heavily, move into a cool sheltered area such as a garage or simply grow as an annual. Containers cannot maintain the same kind of insulation that the ground does, and the root systems of perennials will not likely survive freezing.